Significant economic imbalances exist in 14 EU member states, according to the Commission’s latest in-depth review of macroeconomic imbalances, presented on Wednesday (5 March). “Our analysis presented today shows that Member States are making progress in addressing their economic challenges. But this progress is uneven and in some cases must be stepped up,” Commissioner of Economic and Monetary Affairs Olli Rehn outlined in a statement. The report echoes previous warnings from the José Manuel Barroso, the Commission President, who urged Germany last November to do more to address economic imbalances in the eurozone by opening up its services market and allowing wages to rise at a faster pace. Due to Germany’s high account surplus, the Commission sees room for improvement. The Federal Republic currently boasts an export surplus of roughly €200 billion, the world’s biggest in 2013. The fact that Germany exports much more than it imports “reflects strong competitiveness,” the Commission report says, but “it is also a sign that domestic growth has remained subdued and economic resources may not have been allocated efficiently,” it points out. Seeking better balance, Rehn also emphasised the significant role played by big EU member states like Germany in propelling Europe’s growth. In southern European crisis states, whose development is traced separately, economic recovery and budgetary consolidation is progressing. The Commission is not criticising Germany for having strong export performance and high competitiveness, Rehn told the press in Brussels. On the contrary, he said that he hoped every member state of the European Union would become as competitive as Germany. In Germany’s case, the Commission’s main focus is on low domestic investment and strengthening domestic demand. According to Rehn, there are three key areas which must be tackled to strengthen domestic demand: investment, services and child day-care. MEP Werner Langen from Germany’s Christian Democratic Union (CDU) praised Commissioner Rehn for not blowing on the “horn of left-wing EU politicians”. The latter, he said, constantly criticise Germany’s export strength as a cause for lacking competitiveness in weaker eurozone states. Critics complain that high export surpluses in Germany’s economy have detrimental effects on other countries, where debt rises as a result. For example, during the euro zone debt crisis, the United States, urged Germany to do more to raise domestic consumption and address the problem. German officials rebuffed those claims, arguing that the country’s high trade surplus was a natural byproduct of the strong competitiveness of German businesses. That may be changing as the German government now seems to be more open-minded. 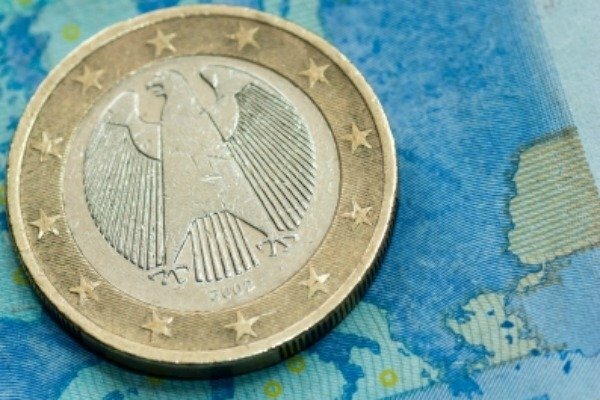 For the first time, an internal paper from the economics ministry acknowledges that excessive and sustained trade imbalances are harmful for the stability of the eurozone, the Süddeutsche Zeitung reported on Wednesday. As a result, it is right for the Commission to put such imbalances under the microscope, the document said. The Commission also noted excessive imbalances in Croatia, Slovenia and Italy, with the latter suffering from an unsustainably high level of public debt and weak competitiveness. Lesser imbalances were observed in countries like France and Italy, who were both advised to “address bottlenecks to medium-term growth while working on structural reforms and fiscal consolidation”. Spain, on the other hand, has seen considerable improvements over the past year, the Commission report pointed out. Although imbalances are shrinking, the analysis shows that Spain must continue with “orderly deleveraging and structural transformation of the economy”. In-depth reviews were considered necessary for Denmark, Luxembourg and Malta, but their results showed no economic imbalances. Greece, Cyprus, Portugal and Romania are not subject to the MIP because they are already under EU surveillance through their respective economic adjustment programmes. All member states, including the German government, must prepare a response to the Commission review by April 2014. Sigmar Gabriel, Germany's federal minister for economics and energy, explained on Wednesday that an examination of the analysis results in the German government is under way. A position, he said, would be taken in April within the framework of the National Reform Programme (NRP). "Alongside its European partners, the German government is prepared to take measures to dismantle economic imbalances while complying with requirements for the reformed Stability and Growth Pact", Gabriel said. "In Germany, domestic economic dynamics will make this possible through increased employment, the introduction of a minimum wage, orientation of part-time and temporary work on their core purposes, appropriate conditions for a responsible wage policy and strengthening investment." The chairman of the Christian Social Union's (CSU) Group in the European Parliament, Markus Ferber, clearly rejects any criticism of Germany's current account surpluses. "Germany's export surplus is primarily driven by trade with China and the United States, who have experienced significant growth in recent years. For this reason, German export surpluses do not constitute a disruption of trade within the eurozone or the EU. So whoever propagates that an EU-wide disruption of the economic balance is created by German exports, is misdirected on the issue." In a public commentary, the Cologne Institute for Economic Research points out that the local export surpluses also benefit other EU countries. In addition, they satisfy demand for investment goods, which have experienced substantial growth internationally. In this sense, European countries – above all deficit countries – would not be helped, if Germany did not satisfy high demand by producing investment goods. "Instead, Europe as a whole would suffer because German exports contain many supplied inputs from other European countries. An increase in German exports is accompanied by an almost equal percentage increase in sector internal supplies coming to Germany from EU countries." The in-depth country analyses are part of the Macroeconomic Imbalance Procedure (MIP) introduced in 2011 under the EU's six-pack legislation, a surveillance and enforcement mechanism which intends to root out macroeconomic imbalances among the EU member states before they get out of hand. In the first round of the Commission's yearly MIP, EU member states are screened to determine which ones warrant an in-depth review. Then, analyses like the one released yesterday provide a closer look at macroeconomic issues in each of these countries. Find out more on the EU's six-pack here. Imposed German austerity to other countries costs their economy a loss of competitiveness and money! Whilst Germany has no Austerity it’s clear why Germany economy remains extreme healthy! If Germany don’t want a depth pooling with an adequate depth redemption Budget or Euro-bonds THEN it should immediately leave the Euro currency ! Acting in a selfish manner is not the solution ! I will hope it this will change or Angela’s Europe will down the Hill. We need an equal United Europe with more democracy ! The thing is, Germany is a massive success mainly because other countries aren’t like Germany. It is simply not possible to run the world where everyone runs huge trade trade exports. It is obvious, if everyone is producing far more goods than their own domestic market requires, they will not want to buy from elsewhere. This is like everyone being a farmer who produces more food than they can eat and wants to sell the excess – but if everyone has more food than they need, who wants to buy that excess? Of course, I am aware that this can be partly offset by countries producing specialised or high quality goods that others do not or cannot (for example, high tech engineering items). Unfortunately, Germany has interpreted their success as an indication that their model is the perfect one and must therefore be imposed upon everyone else. It remains to be seen how sustainable Germany is, all countrie shave high and low points in which they do better or worse than everyone else. Germany is not without weaknesses. Massive dependency on exports with low domestic demand makes her highly vulnerable to global downturns. German demographics are also a lot less favourable than some of her neighbours. I think the tendancy to lecture and instruct countries to “do their homework”, with a “my way or the high way” approach will have unfortunate consequences in years to come.